A little flattery never hurt anyone…artist Leah Harper is installing a compliment-giving toy dispenser under the High Line. DNAinfo has the scoop. 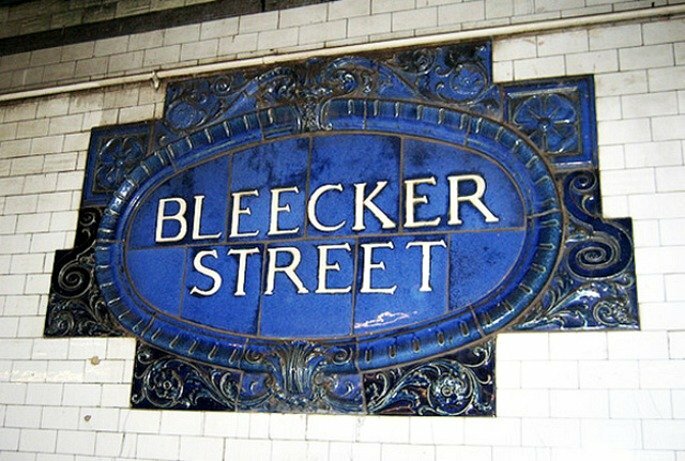 Untapped Cities shares some of its favorite Arts and Crafts/Beaux Arts-style ceramics in NYC subway stations. Dan Marker Moore’s urban time-lapse photography is pretty amazing. Head over to Fubiz to check it out. You know your coworker who puts you to shame by sitting on a yoga ball all day? Well, he or she can now one up you even more with the two-legged balancing chair from French designer Benoit Malta. See it on Dornob. Brooklyn Heights’ Squibb Park Bridge was closed because it was bouncing too much, reports the New York Times.